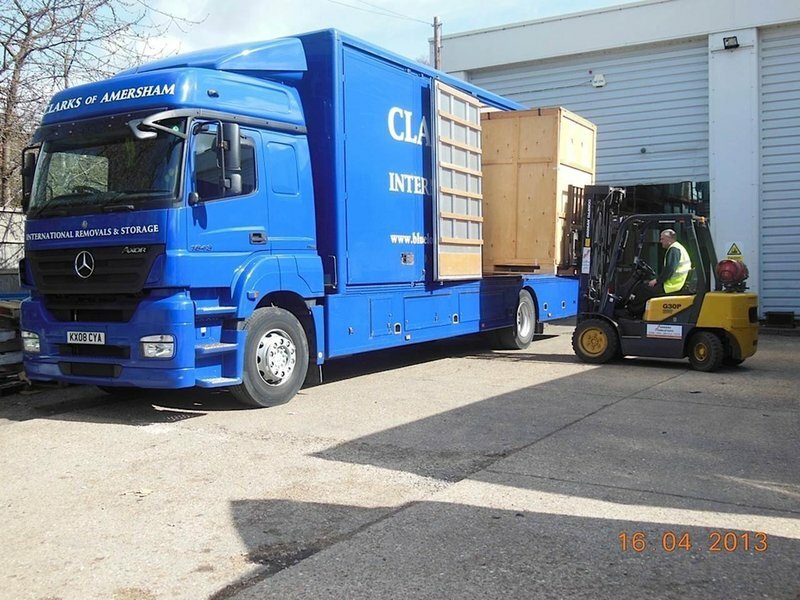 Clarks of Amersham has been providing removals, storage and associated services for homes and businesses in the South East of England for over 20 years. A family run business with uniformed, security cleared teams. Our company's reputation has been built on trust. Trust in our service, trust in our equipment, trust in our people. What we don't forget is that each of our customers entrust us with their personal belonging. Whether it's an antique heirloom or an entire house we are committed to getting it where it needs to be safely and with as little stress to you as possible. Our people: By the time we arrive at your door you will probably know our names already. Our commitment to you: Even if you get late keys we will still move you in on the day. Our service: As members (BAR) & FEDEMAC you have the confidence of receiving a first class service. Awarded the BS EN 12522 certification for furniture & removal service. 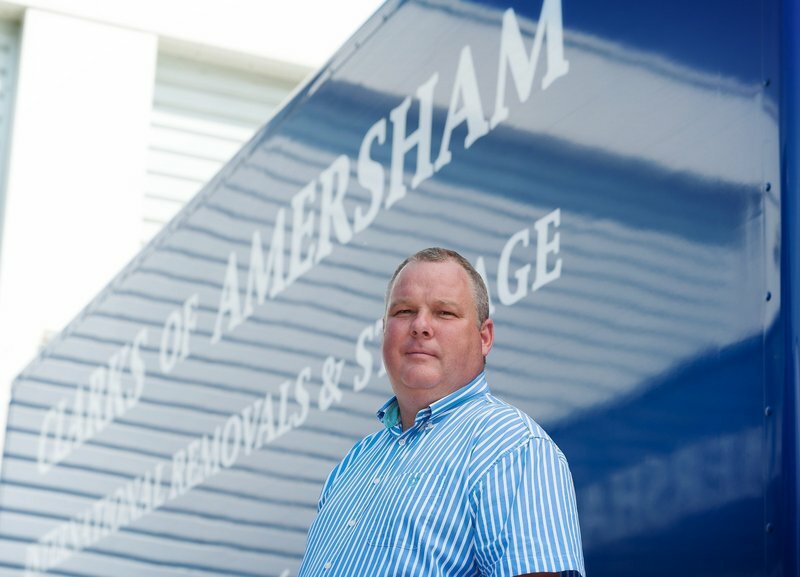 Two Clarks of Amersham employees managed to damage 80% of the furniture they moved for us last week. Unhappy how this company was to deal with. Didn't even offer us a full or partial refund. The M.D. of the company described it as the second worst case of removals damage he’d ever seen. Removal from Southeast to Scotland carried out efficiently, to time and budget. Friendly and helpful. I am glad we went with Clarks for our recent house move. Of the quotations we arranged, Clarks was neither the cheapest or the most expensive. We had not used/needed to use removal services before so were unsure what to expect. Everyone I had contact with in the office including Lisa and Dianne were extremely helpful and answered my queries, even when I thought I might be asking something really stupid! We decided to pack the contents of our house ourselves. As exchange was somewhat delayed we were able to get boxes to pack ahead of this. Bob was great, he kindly arranged to meet me at my work (twice!) to deliver boxes and packing materials, which was so helpful. Come moving day our 3 man team arrived on time and set to work. 2.5 hours later, our house was empty! As we had not needed to move the contents of a whole house before I felt a bit flustered and panicky but they were calm throughout and helped me to 'chill out'. All furniture was well protected and moved with care. When we eventually got keys for our new house, they again set to work unloading. They did a great job and no items were damaged in the process. So, thank you Clarks and your team for making this element of moving house not stressful! The gentleman who came to look at the property in order to quote was prompt, polite and quick. I received a very competitive quote two days later. The removal itself was fantastic. Nothing was too much trouble, the men were polite, helpful and aware that it was a stressful day for me. I wouldn't hesitate to recommend. Price for service was competitive, prompt arrival, polite staff. Made us feel at ease at a stressful time & listened to what we wanted. Tried to help when our car wouldn't start when we were about to set off to collect key! Highly recommend. After getting three quotes from removal firms we knew instantly Clarks was the company for us, we really liked the chap who did the survey, so we booked a provisional date with them. Our conveyancing process was incredibly stressful (very complicated with a lot of curveballs) and at one point I had to call Clarks to let our provisional dates go and I burst into tears on the phone to Lisa King who took my call!! She was SO lovely and understanding (I was rather embarrassed!) but eventually things fell into place and we were able to set a date. We arranged for Clarks to finish the packing we'd started and they would move us the next day as we were moving out of county. Darren, Dan and George were with us for the two days and were punctual, efficient, intuitive, friendly, helpful, polite and nothing was too much trouble for them. They were a collective calm presence and saved our bacon more than once! They truly went above and beyond. Plenty of common sense in terms of figuring out where to put things (which my scrambled brain really appreciated) and if something wasn't obvious they asked. Everything arrived beautifully and carefully packed, not a single item damaged. We really can't recommend them highly enough, so thank you to everyone involved in our move at Clarks, you all really took care of us. Not having moved for 22 years I entered the process with some trepidation, but Clarks were so professional from start to finish, that the whole process was as stress-free as it could have been. I'd recommend them to anyone. My family and I didn't know how we were going to move all our stuff to the new house - it was a really stressful time. The Clarks guys turned up at 8am on the Thursday and worked tirelessly for two days to make the move as smooth a process as possible. Would definitely recommend them. All round service is good, people employed very helpful. Clarks recently moved us 200 miles. Packing service was good, we arrived with no breakages. Really friendly team which helped in a stressful situation. Nothing was too much trouble. I would certainly recommend Clarks to others. Great job.